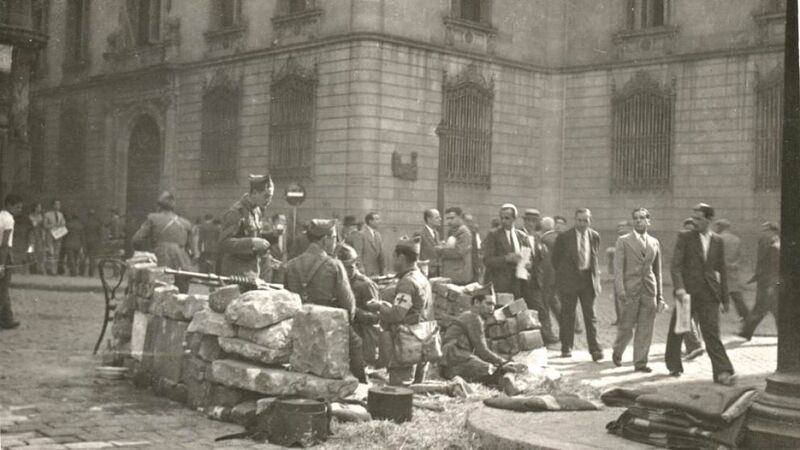 Trench in front of the Clinical Hospital, Madrid, march 1937. 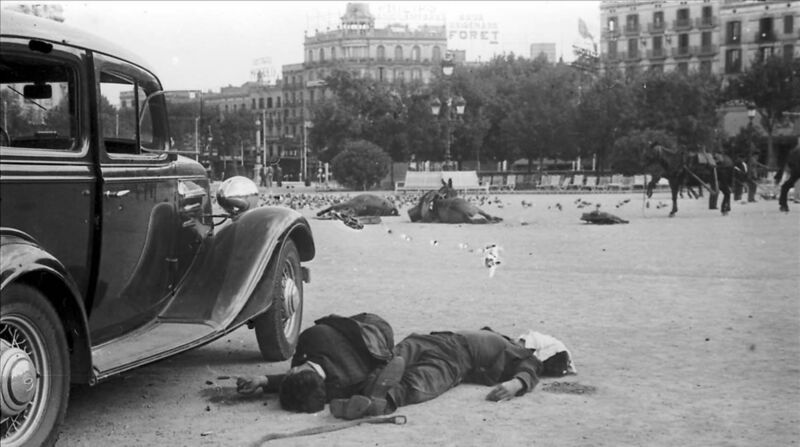 Image of the Catalunya square after the outbreak of the civil war, on July 19, 1936 in Barcelona. 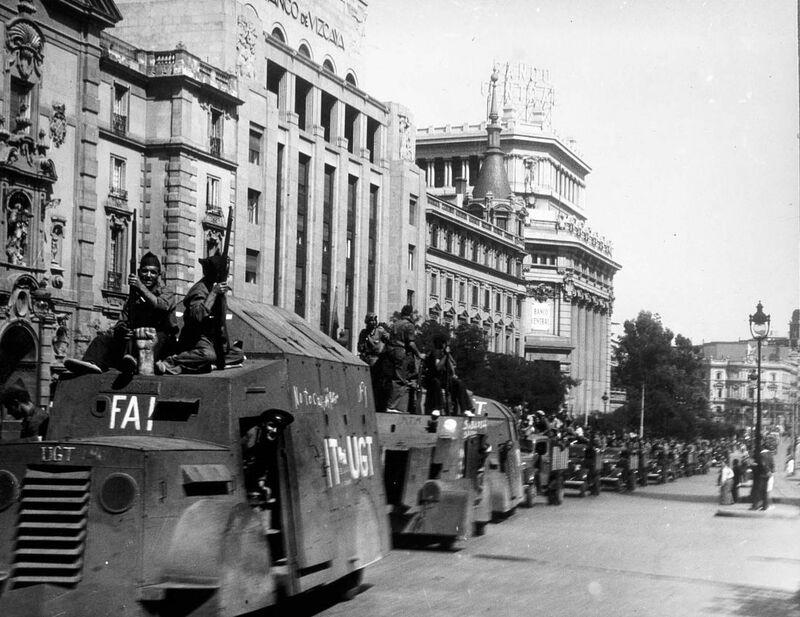 Italian troops take part in a Nationalist victory parade in Madrid on May 19, 1939. 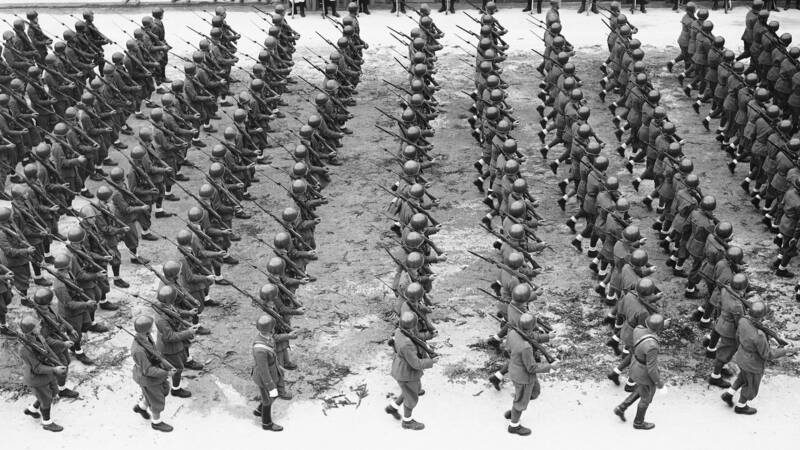 Military aide from Italian dictator Benito Mussolini helped Gen. Francisco Franco win the civil war. 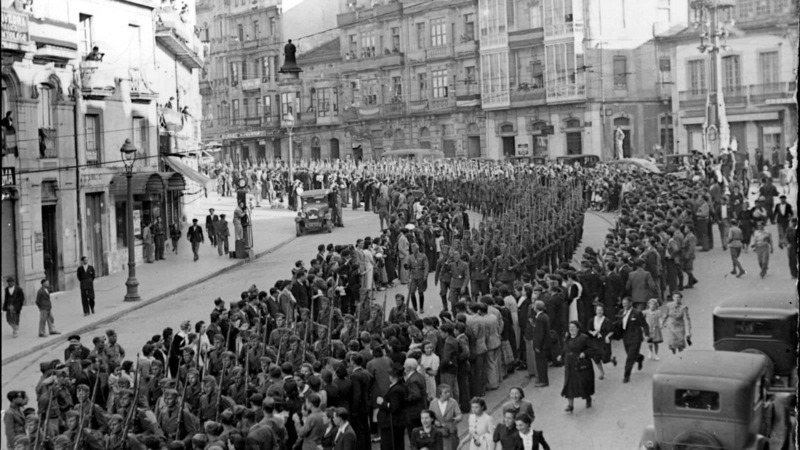 The Condor Legion as it passed through a street in Vigo, shortly after the end of the war. 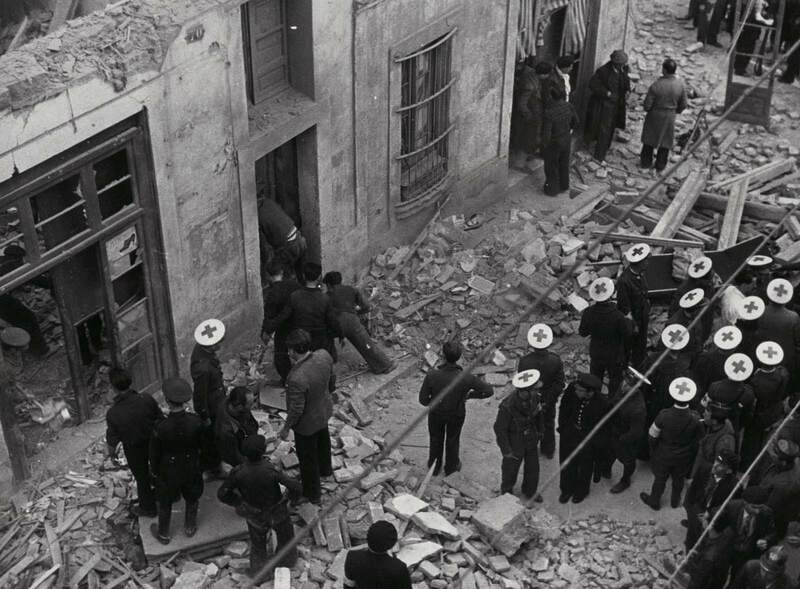 Rescue members of the Red Cross of Barcelona work to locate survivors after a Francoist bombing in 1938. The novelty of the image is the sanitary hat. 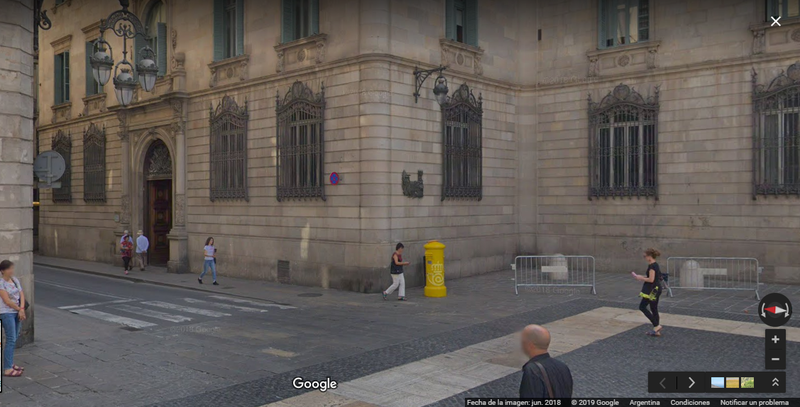 On a white background, you can differentiate hundreds of meters away the red cross on the head of the nurses. The reason? 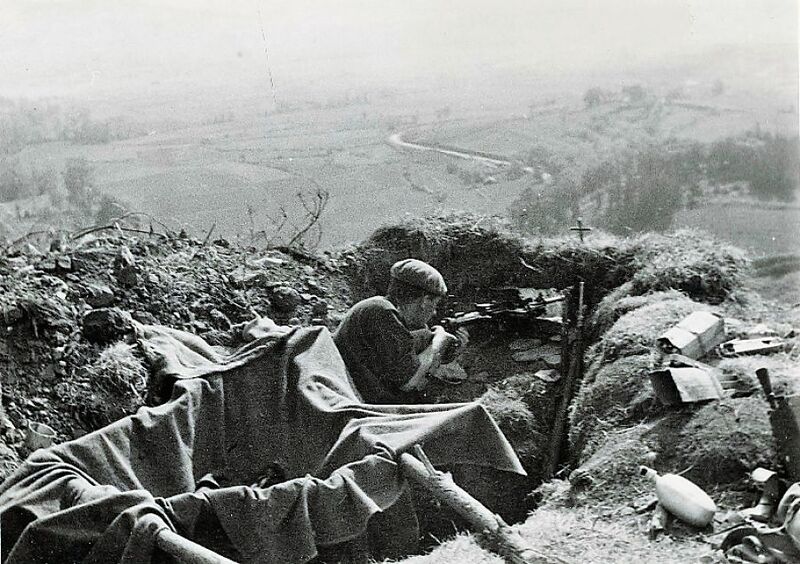 In the event of a new attack, the enemy pilots could see that the members of the Red Cross were looking for the wounded and not engaging in war actions. Republicans reloading cannon. Date and place unknown. 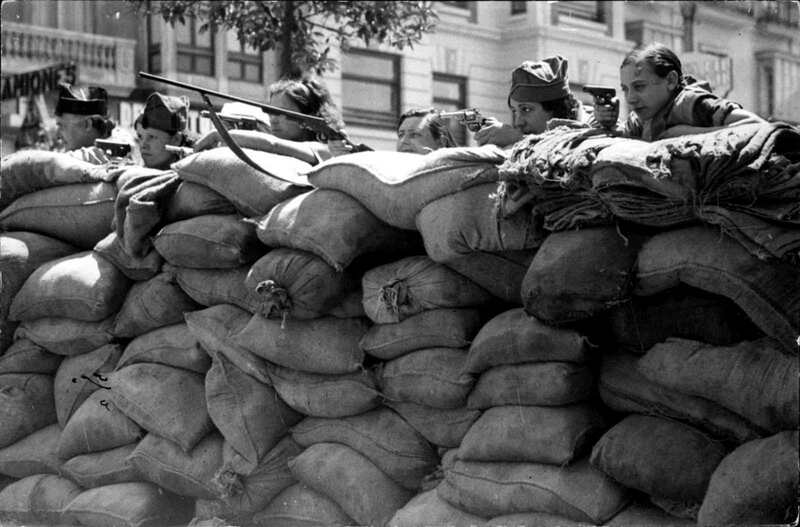 A group of militiamen in a barricade in Valencia, July 25, 1936. 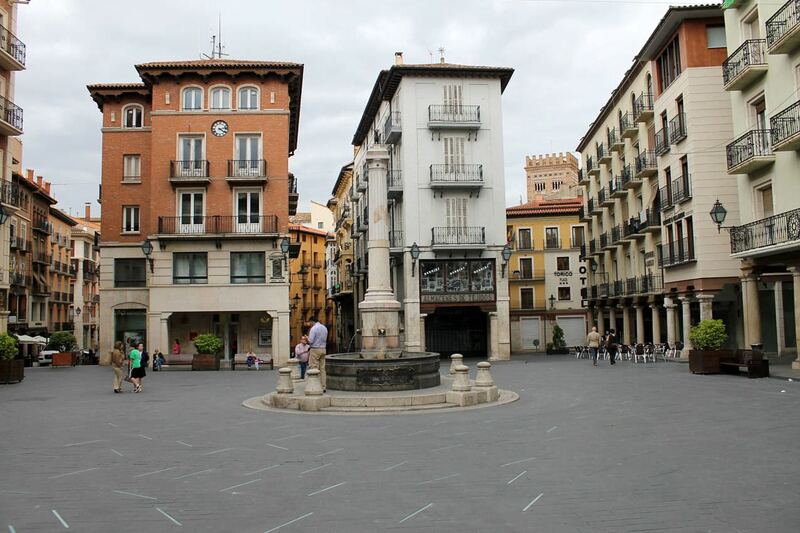 "Plaza del Torico", in Teruel, Aragon, Spain, after the battle of Teruel, happened between Dec 1937 and Feb 1938. 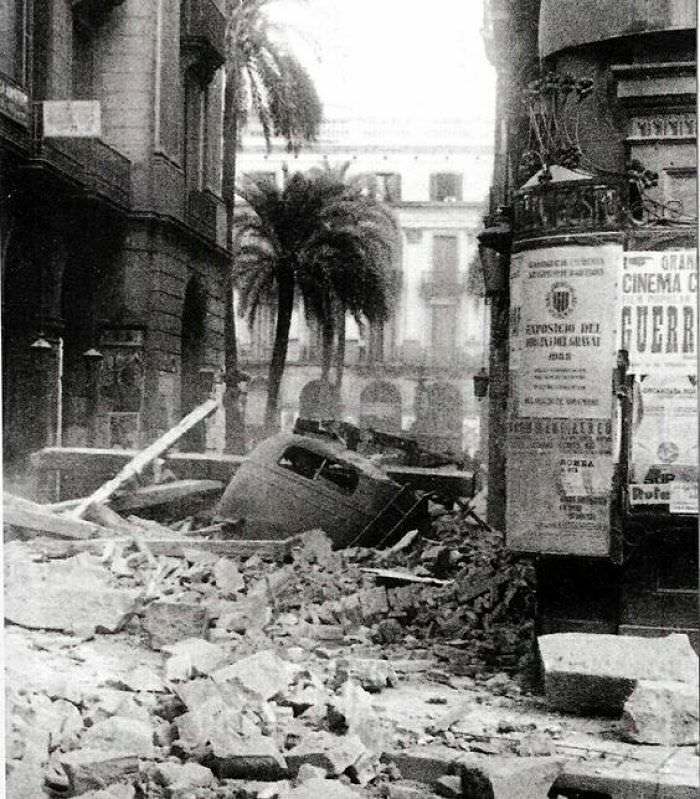 Carrer de Colom street, meters from Plaça Reial, Barcelona, after Francoist bombings, 1938. 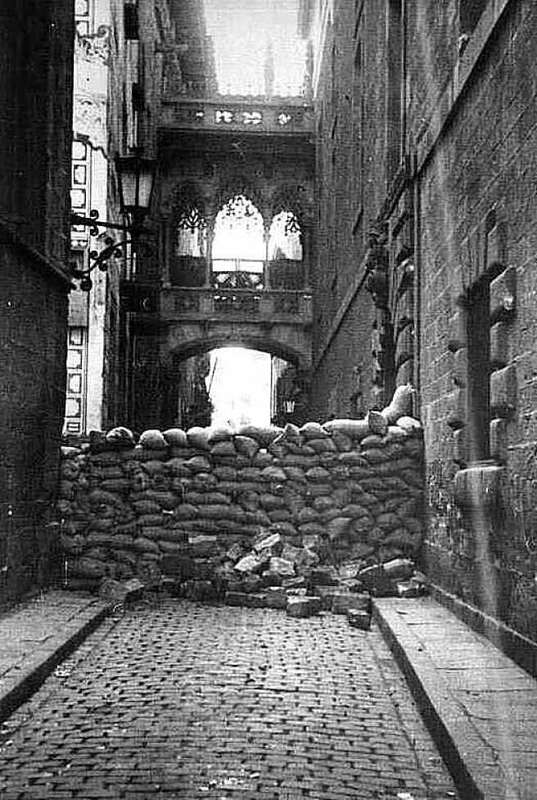 Barricade in Carrer de Bisbe street, Barcelona. Nice before and after shots Louis. Are you putting these together yourself? 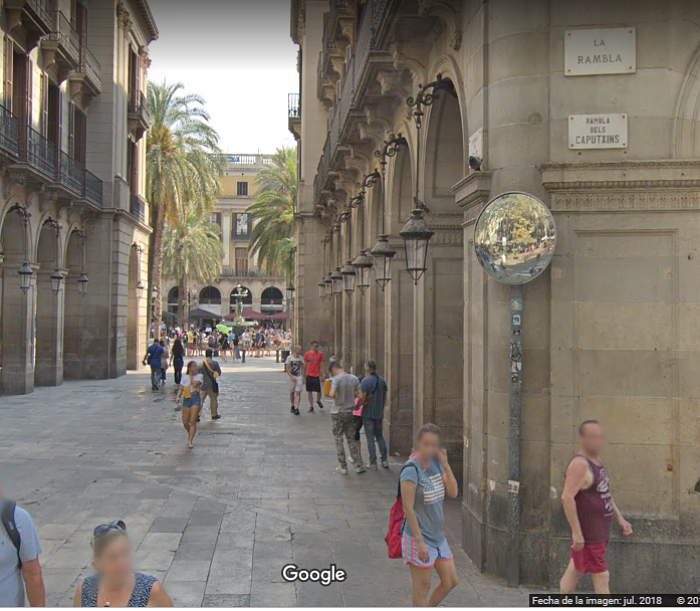 Oh yep, I try to find the same place on Google Street and also the same angle. Then I capture the image, cut it out and give it the approximate size. I had family in both sides. 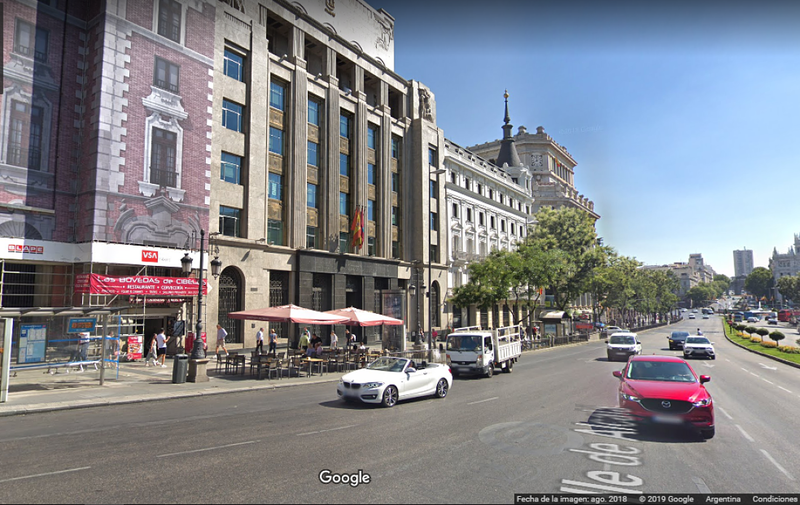 Fun story: Mi great-grandfather was a left wing basque nationalist engineer that had his quite numerous properties in Pamplona confiscated never to be seen again. It was also arrested and his name written on a "to be shot" list. 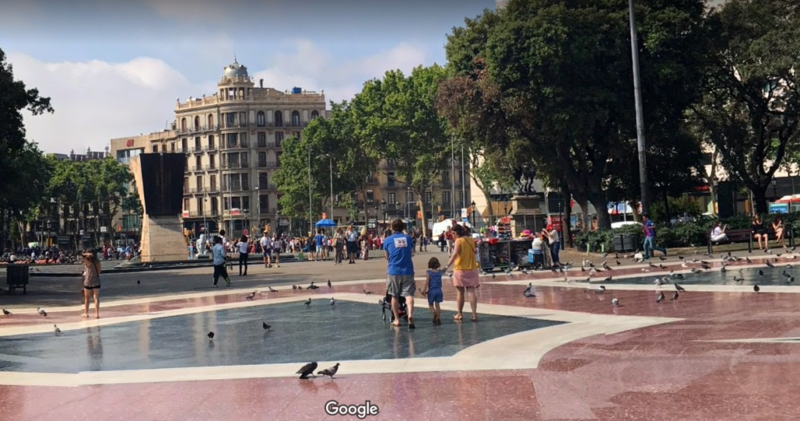 A relative, which was a falangist with a bit of authority, saw the list on the detention camp and simply erased the name, thus saving his life. This really shows in my opinion how much of a "war between brothers" it was. Agreed, amazing to see the two perspectives and well done mate. Scary, a roll of dice and your snuffed out (and perhaps your progeny ). I think my estranged grandfather fought in the Civil War. He disappeared after WW2 and my mothers sister caught up with him just before he died. He had joined the French Foreign Legion after WW2, got out at some stage and started a whole new family in the British Isles somewhere. I seen a hand written letter by him to my mother just before he died, it was quite short. All I remember it saying was that he had been in the Spanish Civil War, WW2 and then joined the French Foreign Legion. 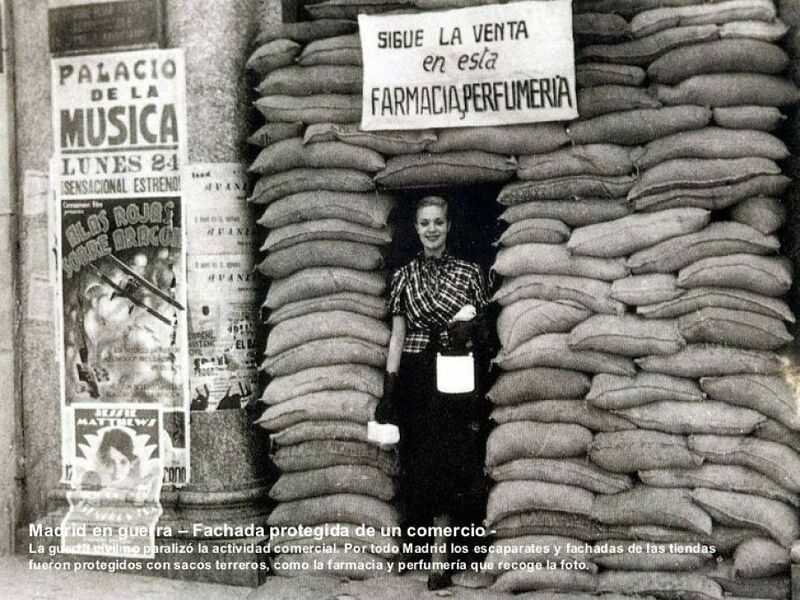 Madrid, Pharmacy protected by bags of earth during the conflict. 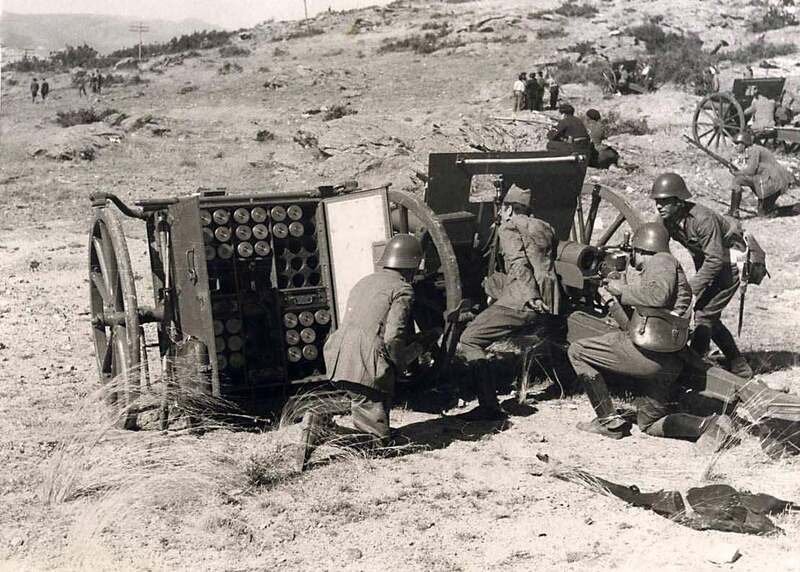 National soldier in an outpost of the Vizcaya Front in 1937. 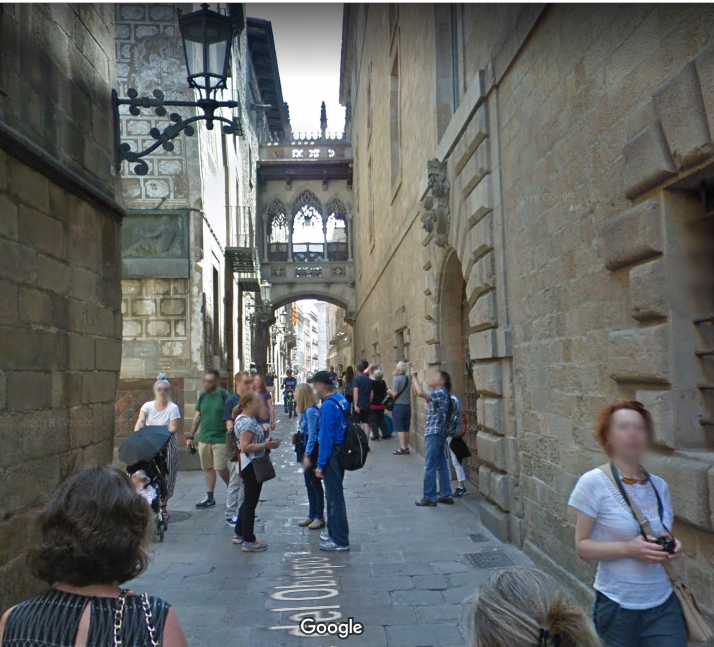 See the Cross on top of the parapet. 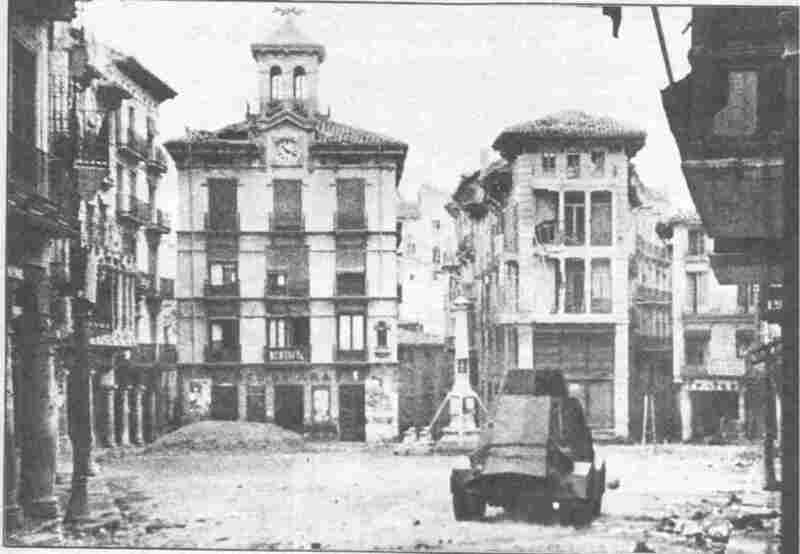 Vehicles called "Tiznaos" in Calle de Alcala, Madrid, Sept 1936.